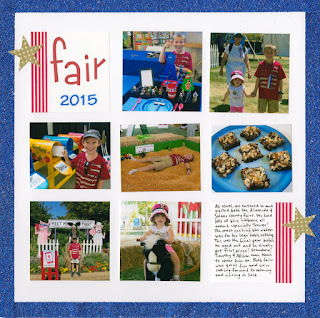 I made this layout about our 2015 fair visits for the "Show Us Your Washi" National Scrapbook Day challenge at Scrapbook.com. How many different uses of washi do you see? There are three. I used a glittery blue washi tape to create a border, wrapped a strip of red/white striped washi around the title and journaling cards, and punched stars from white cardstock that I'd covered with gold polka dot washi. Incidentally, the title? Of the four letters in the word fair, the only letter sticker I had left on the sheet was the a. The f is an upside-down j, the r is cut down from a k, and the i is the rest of the k plus the dot from the j. Any of you entering in your county fair? Trevor and I are filling out the last of our entry forms and paying entry fees this week! 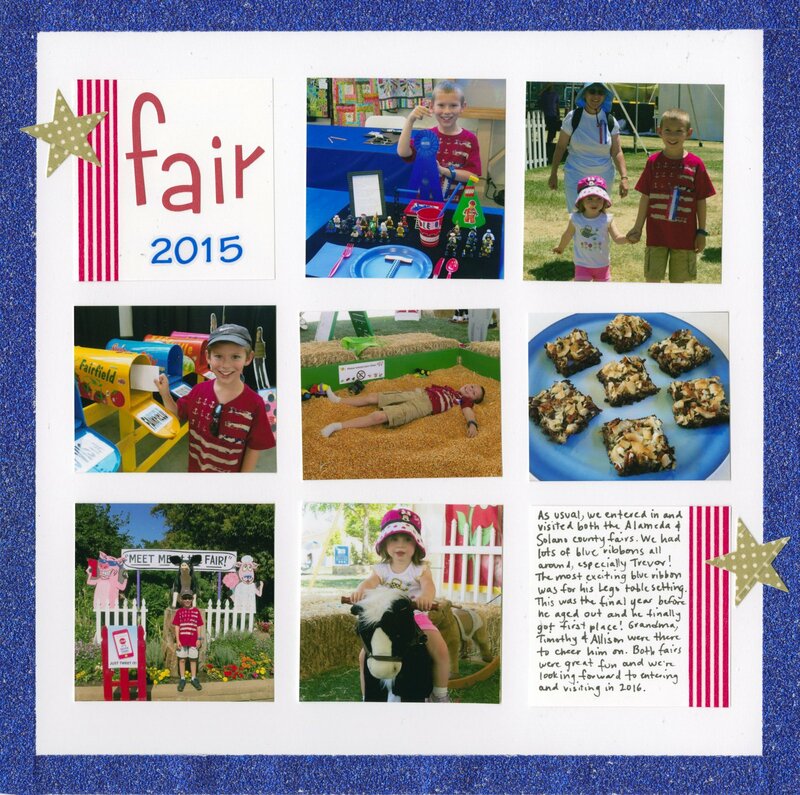 Can't wait for the fair(s)! Ohhhhhhhhhhh I love love love this! LOVING the photos and how you used the washi!!!!!!!!!!!!!!!!!!!!!!!! Great layout and for sharing your alpha tricks with us!